The Defense Advanced Research Projects Agency has announced the 11 winners of its six-month, $500,000 CHIKV Challenge competition, which sought new methods to predict the spread of the chikungunya virus in the West. “The teams… identified gaps in current forecasting capabilities and created a set of tools that can immediately help improve forecasting and guide response decisions for the current chikungunya outbreak,” Matt Hepburn, CHIKV Challenge program manager, said in the announcement released Tuesday. DARPA asked Los Alamos National Laboratory to conduct a scientific review of the entries on May 12 and selected the winners based on the accuracy of their predictions. A team from the University of Arizona received the Gold award and a prize of $150,000, while Utah Valley University won $100,000 for the Silver award. Four teams were tied for the Bronze award and received $50,000 each. 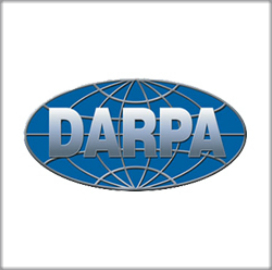 DARPA said it also awarded $10,000 each to five teams for achievements in the challenge domains of applicability methodology, computational requirements methodology, data sources methodology, presentation and robustness methodology. Hepburn noted that the competition also provided an opportunity for the participants to connect with each other and DARPA. “This forward-thinking collaboration is exactly what it will take to stay ahead of the global threat that emerging diseases pose,” he said.